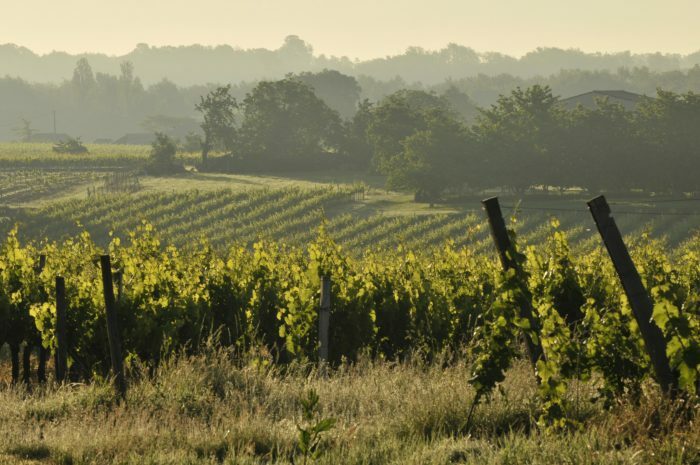 It began with just a few hectares of vines on the Château des Combes estate, but it was my grandfather Henri Ducourt who transformed it into one of Bordeaux’s largest winemaking unities, with 450 hectares, 14 chateaux in 6 different appellations controlées. In the school holidays I was already working in the vineyard with the team, and with my family. At university I studied wine making, before going abroad to do internships. Then I came back here to work with my family, bringing new knowledge with me. I love what I do. My father looks after the vineyards, my brother is the winemaker, and I look after sales and marketing. But we manage on par, and share the responsibility for the bigger picture. Investing in the vineyards, the winery and equipment, and in the team. A skilled team helps you achieve the best each year. We unite traditional knowledge with the latest technologies: quality grapes are essential and at the moment we’re trialling a new variety that is naturally resistant to diseases, so we won’t have to spray in future. We were pioneers of bag in box bag in the late 1970s. People said we were crazy, and were destroying the image of Bordeaux. They said we weren’t welcome here any more! But today wine in boxes is sold everywhere, and everyone does it. In France 1 in 4 bottles is sold in a box. We ran tests here in our labs to check the packaging was good enough, and to ensure freshness and quality. We were convinced! When we found out what Love Wine on Tap were doing, right away we said we wanted to work with them – it felt like a really good match for us. It never comes into contact with air, so you’ll never have to throw away wine that’s no longer fresh. And it comes directly from taps, so it’s far more convenient for restaurants and bars because it saves space and it’s quicker. The soil combined with the weather, and the varieties of grapes that have been chosen over centuries – they go together very well. But the other thing is there are lots of ideas here, lots of innovation. People come from oversees to study and experience Bordeaux, and they bring new knowledge with them. From the vineyards to the wineries and laboratories, we have the expertise and the best equipment. The climate is quite cool, so the wine never gets too big, and the balance between acidity the ripeness. It’s special. I wouldn’t say it was easy to drink, but it’s very welcoming. Another glass is always pleasant, and you don’t need to have a meal with it. We have three wines with Love Wine on Tap. A red, a white and a rose. A red is always nice in Autumn and it’s a good example of what we do: when I say it’s balanced, it’s fruity and it’s enjoyable.